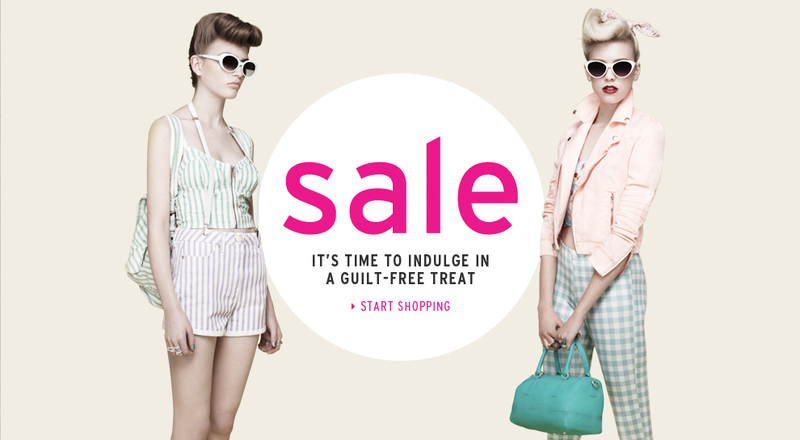 Topshop sale is now on! I must admit, I was a little sceptical about their up and coming sale based on yesterday previews. That email promising you exclusivity and to “shop the sale before anyone else” gives you a little wave of excitement. The reality: a very poor selection and any useful sizes had already sold out. But I blame morning tiredness and it being so damn early. Everyone needs an obligatory what-the-hell-were-you-thinking purchase in their basket, right?! Whilst I probably wouldn’t brave these as shorts, I’d happily team them with a long tee. 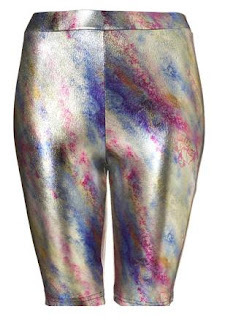 I love the foil effect and the I’ve-got-in-a-paintball-fight-whilst-on-acid feel to them! I love those paintball pants! They're super weird but totally awesome. I'm not sure if the U.S. site and the U.K. site have the same things, but I'm not overly impressed from what I see on the U.S. one! I'd never buy anything anyway because A) I'm broke, and B) the returns aren't very easy. But the stuff you found is stunning (especially that dress! The yellow one!). I don't see any of that left. Glad you got it when you did! P.S. The Hunger Games is definitely better than Twilight, in m opinion. If you read it, you WILL get sucked in. Trust me. So seriously, if you're going to (which you should! ), clear your schedule! Ooh, looks like you got a pretty impressive haul from the Topshop sale, I got a couple of bits from instore today, but the selection online is definitely more impressive, might have to sneak in a couple of purchases! Wow you got some good stuff! haha those pants are amazing. I had a look but what I wanted was already sold out. Oh my gosh, I love all of those dresses! You've picked up some GREAT things! We just love Topshop! Always great when there's a sale!